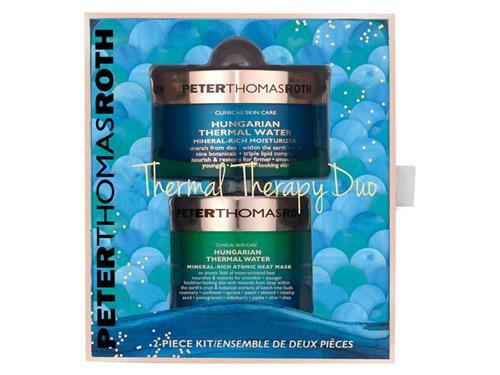 Nourish skin with Hungarian thermal water and natural botanicals with Peter Thomas Roth Thermal Therapy Duo. This fountain of youth moisturizer and mask set harnesses the power of Hungarian thermal water, botanicals and modern technologies. For years, people came from afar to soak in the mineral-rich, fountain of youth thermal waters of the Hungarian spas owned by Peter's grandparents. Today, Peter uses the most mineral-rich thermal water on earth from a secret spring deep below Hungary's Carpathian Valley, where the earth's crust is the thinnest—allowing water to absorb the most minerals as it bubbles to the surface. Hungarian Thermal Water Mineral-Rich Moisturizer (1.7 fl oz): Infused with natural Hungarian botanicals of Sunflower, Evening Primrose, Peach, Apricot, Sea Buckthorn Berry and Flaxseed extracts, bioengineered botanicals Gatuline® RC (from Beech Tree Buds), Merospheres-V (from Rosemary) and DETOSKIN™ (from Peonies) and a Bioidentical Triple Lipid Complex, Hungarian Thermal Water Mineral-Rich Moisturizer helps reduce the look of fine lines, wrinkles, dullness, uneven skin tone and texture for firmer, smoother, healthier and younger-looking skin. Hungarian Thermal Water Mineral-Rich Atomic Heat Mask (1.7 fl oz): Infused with natural Hungarian botanicals of Sunflower, Apricot, Peach, Rosehip Seed, Almond, Pomegranate, Elderberry, Jojoba, Olive and Shea extracts, and bioengineered botanicals Gatuline® RC (from Beech Tree Buds) and Merospheres-V (from Rosemary), it helps reduce the look of fine lines, wrinkles, dullness, uneven skin tone and texture for smoother, healthier and younger-looking skin. 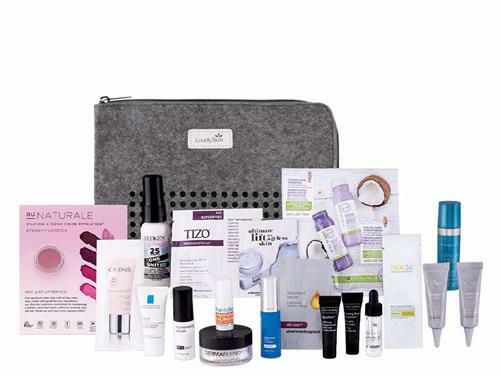 Tell us your thoughts about Peter Thomas Roth Thermal Therapy Duo - Limited Edition and receive 50 rewards points! I was skeptical of this product at first, but after my first use, I’m sold. It’s worth the price. The heat mask feels wonderful and followed by the cooling thermal water, it’s a great duo. I love this product and it has great results, I noticed the first time using how much softer and smoother my face felt! My face felt very hydrated after this treatment.